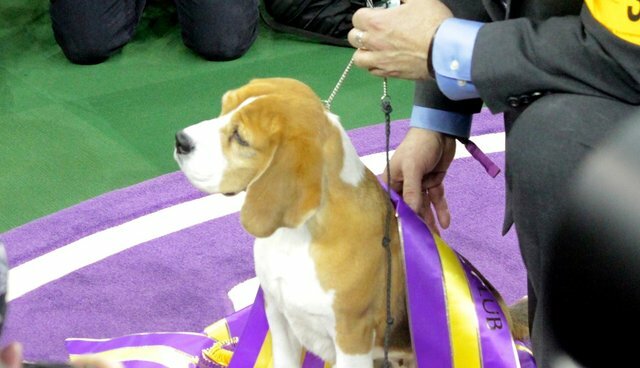 At the 139th annual Westminster Kennel Club Dog Show on Tuesday night, one little beagle named Miss P sailed past her elaborately-coiffed peers. After winning the Hound Group, Miss P headed to the Best in Show category. There was some tough competition (an English sheepdog appropriately named Swagger was a crowd favorite), but Miss P's confidence and personality prevailed. 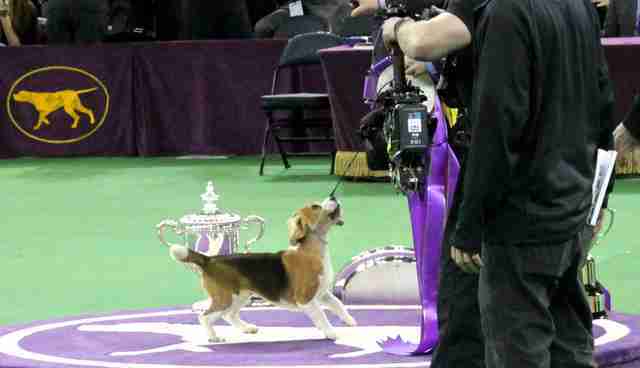 Miss P's win made her the second beagle to ever win Best In Show (the first was actually Miss P's uncle), and just the 36th female dog to take the top title. 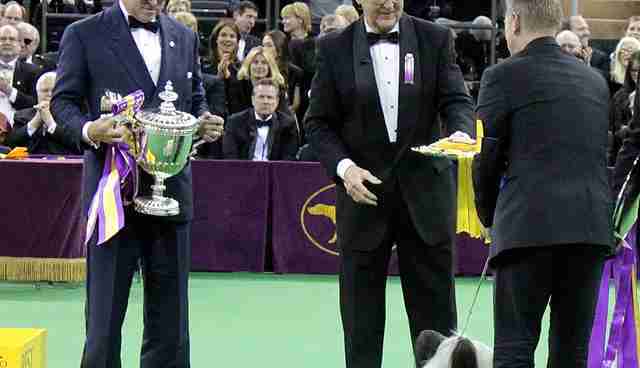 The runner up was the silky-haired Skye terrier, whose ears made him look like a delightfully furry bow tie. 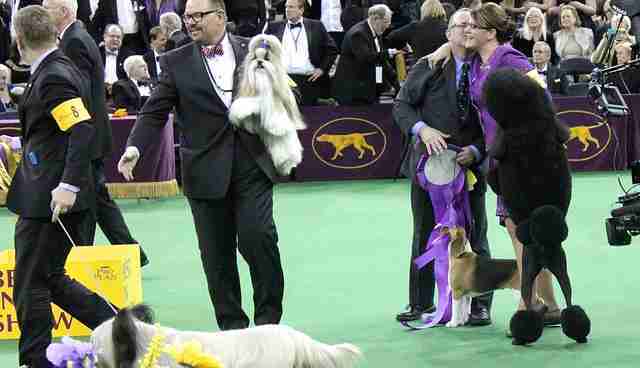 When Miss P received her Best In Show title, all of her friends and their handlers came to congratulate her and handler Will Alexander on the win. Miss P couldn't help but prance a little bit for the cameras - after all, winning Best In Show is a pretty exciting experience! Clearly, Miss P is already adjusting to her place in the limelight. 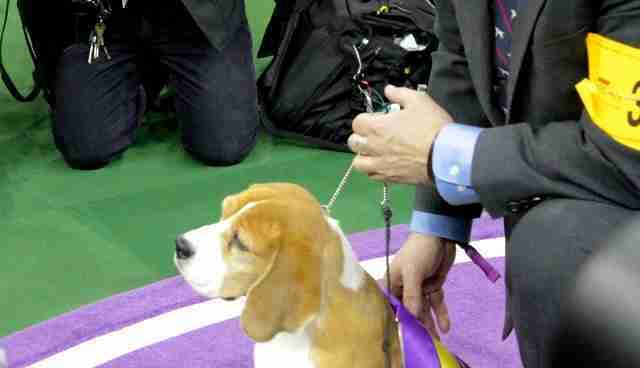 Congratulations to all the contestants at this year's Westminster dog show - even though Miss P took the title, it's clear that you're all winners!